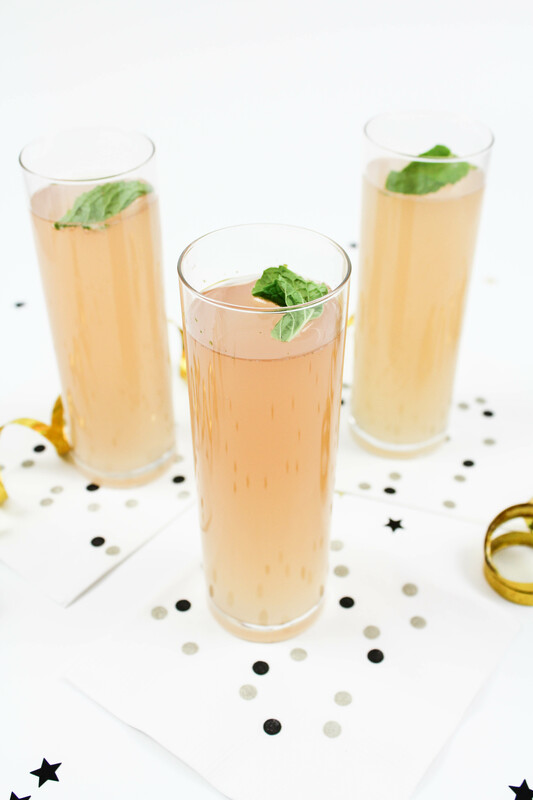 Refreshing, light, fresh, and delicious, you definitely can’t go wrong with this champagne mojito cocktail recipe on your menu for Oscar night! 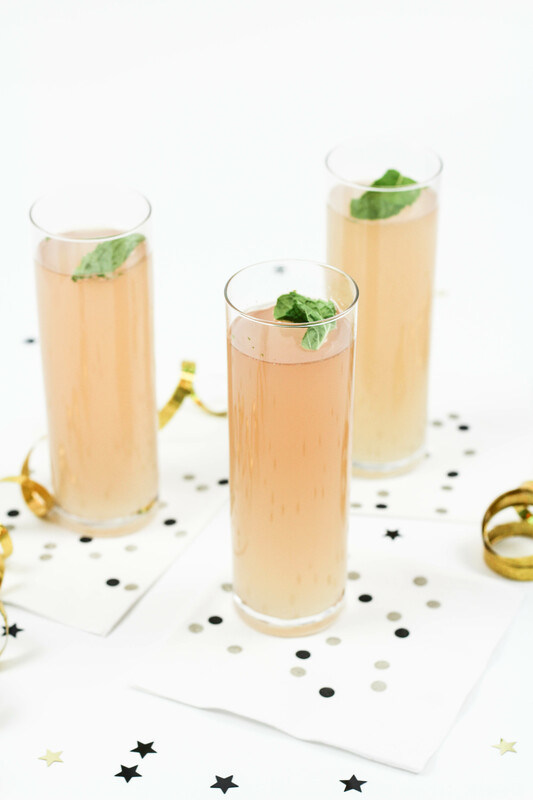 One of the reasons that I love this cocktail recipe, besides being delish, is that it only requires simple ingredients that most home bars already have on hand. If not, they are common enough that you can pick them up at your local grocery store! I definitely love a fancy cocktail, but sometimes it’s a little frustrating when you can’t easily find ingredients that you need to make them. Not a problem with this bad boy! And can you really go wrong with fresh lime juice and fresh mint?! My kitchen was smelling AMAZING when I was whipping these up! First, muddle your mint leaves and simple syrup in a cocktail shaker. Add the rum, lime juice, and the ice. Shake well. 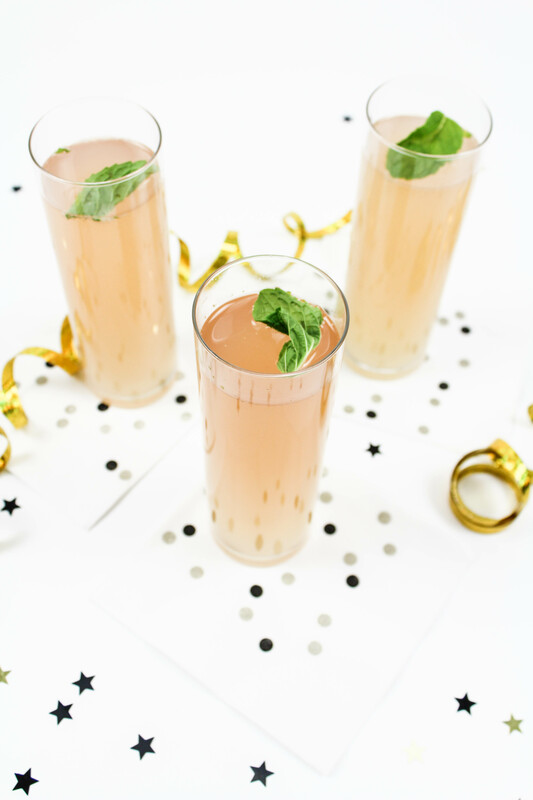 Strain into a glass and top with the champagne. Add a sprig of mint for garnish. (If you’re loving these champagne flutes, I got them here). 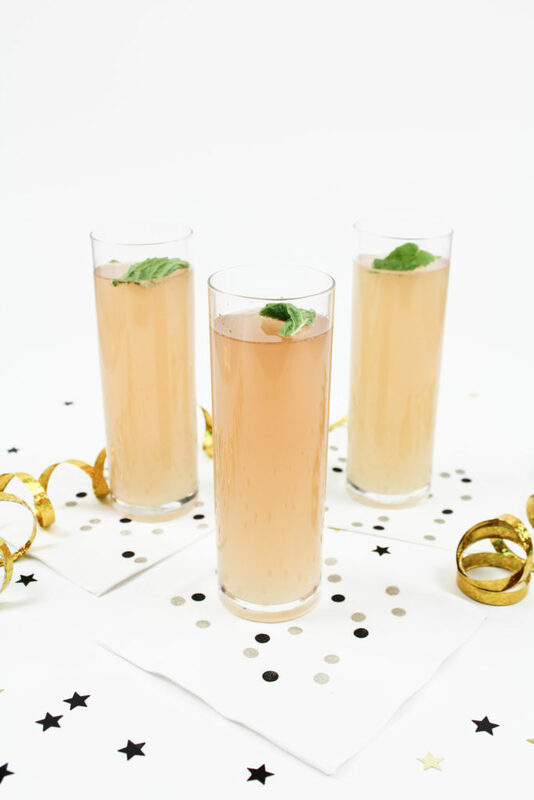 This champagne mojito cocktail recipe is also a breeze to make, which makes it perfect to serve at an Oscar viewing party that you might be having. There’s nothing worse than spending the entire night stuck in the kitchen and not mingling with your guests! 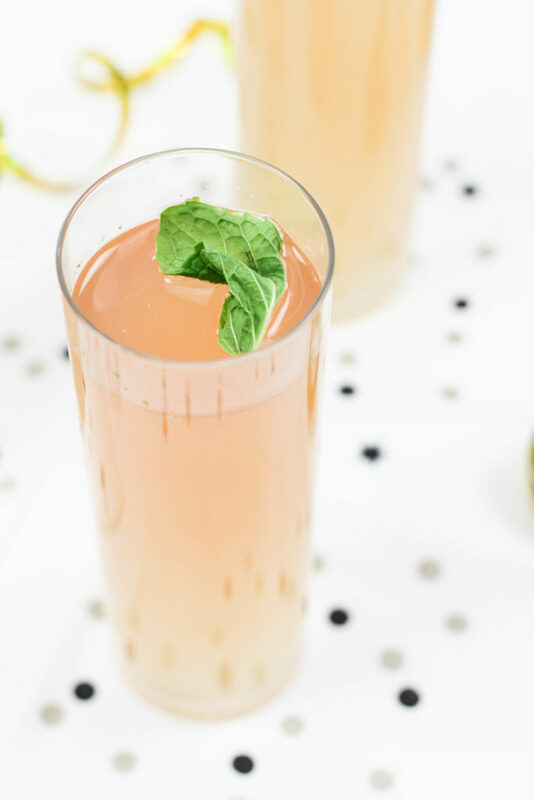 Refreshing, light, fresh, and delicious, you definitely can’t go wrong with this cocktail on your menu for Oscar night! What do you mean by simple syrup?